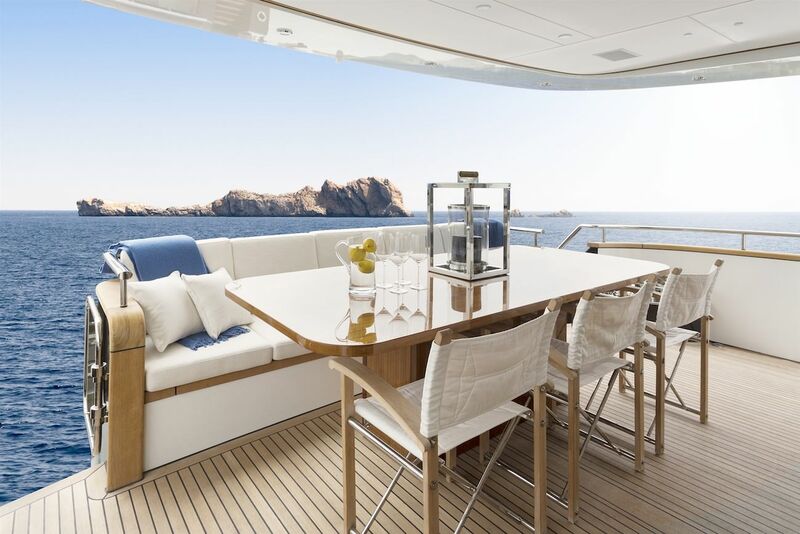 Now Reading : Jangada Continental Three yacht will turn all holidaymakers heads! Jangada Continental Three was made in accordance and depending on the actual owner’s needs. Indeed this one has chosen himself the designer with whom he wanted to decorate his boat and Van Der Valk know-how did the rest of the work. 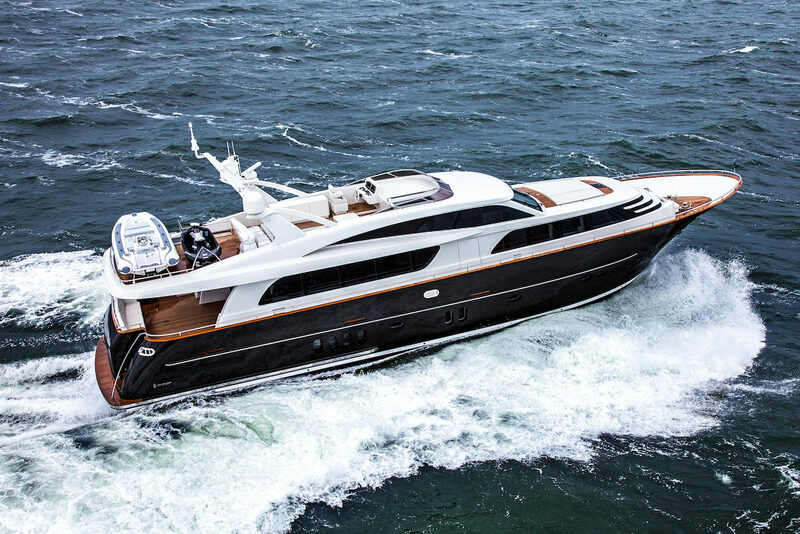 Jangada Continental Three is a 25 m long yacht that combines modernity and classical style with elegance and comfort. The company had offered plenty of possibilities and the owner just had to choose among the different options to build his dreamed yacht. 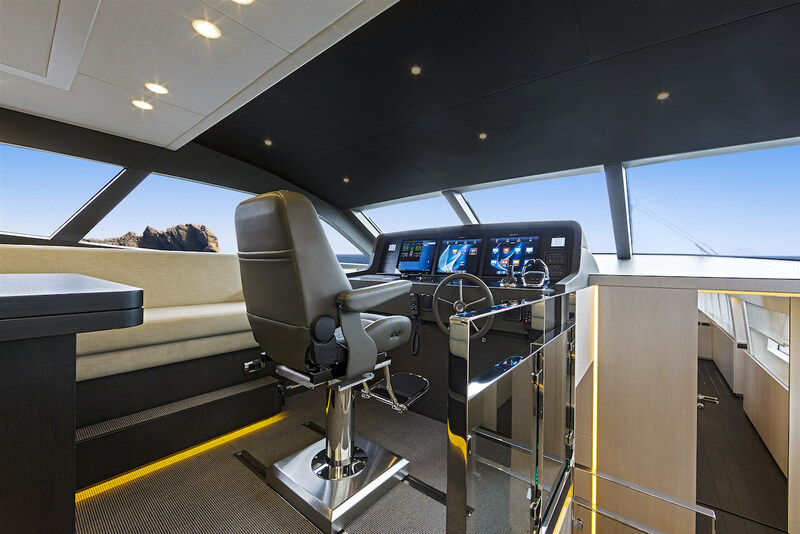 And it started with an amazing motorisation, with two Volvo Penta IPS and a navigation system with a joystick and counter-rotating forward-facing propellers. Concerning Jangada Continental Three’s hull, it is all made with aluminium and moderate V-shape, but you could also ask for a round bilged for a fast displacement or a full-steel version, for example. 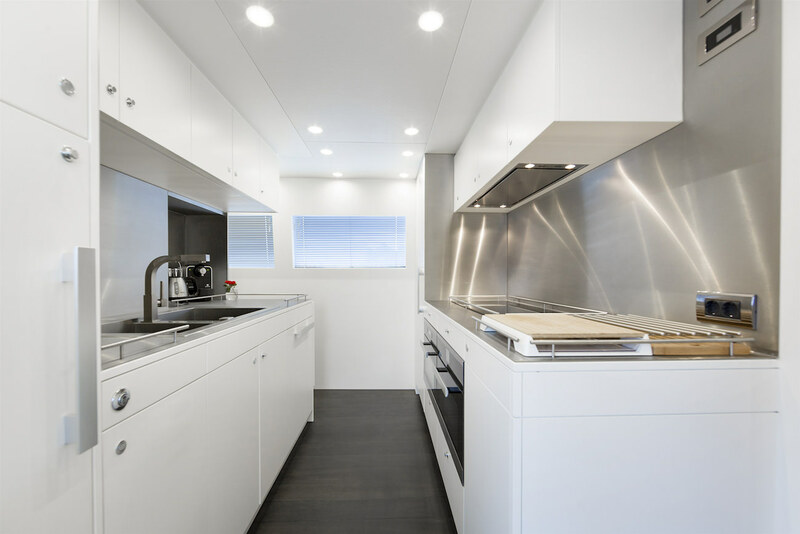 Then like the actual owner you can choose the designers of your choice to compose the yacht’s interior. Belgian designer Nick Top, who was truly appreciated by the owner, designed Jangada Continental Three interior, but he also collaborated with a Dutch design house. Finally, everything was built with white oak and clean lines, to maintain an open-plan spirit. 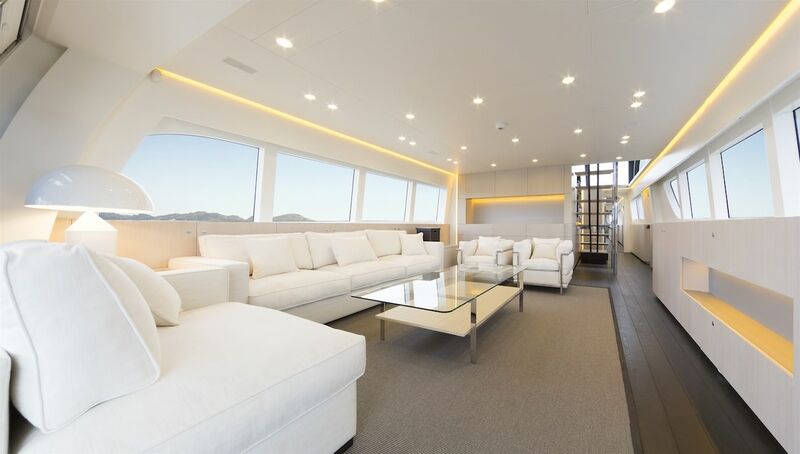 In order to do that designers chose to equip Jangada Continental Three with large automatic sliding doors to let the saloon communicate with outdoor decks. 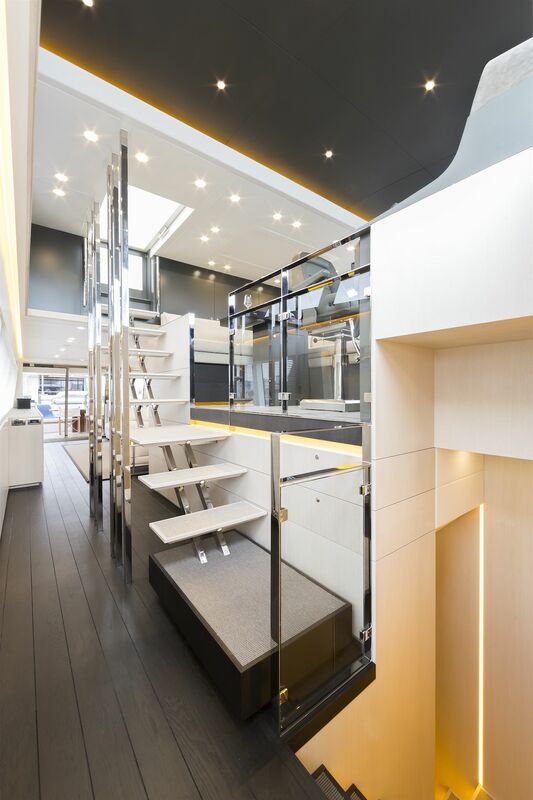 The different floating staircases are all works of art, made with steel and leading to the different decks. Concerning materials, leather and rapello suede are predominant, always in bright tones to keep a maximum of light inside. 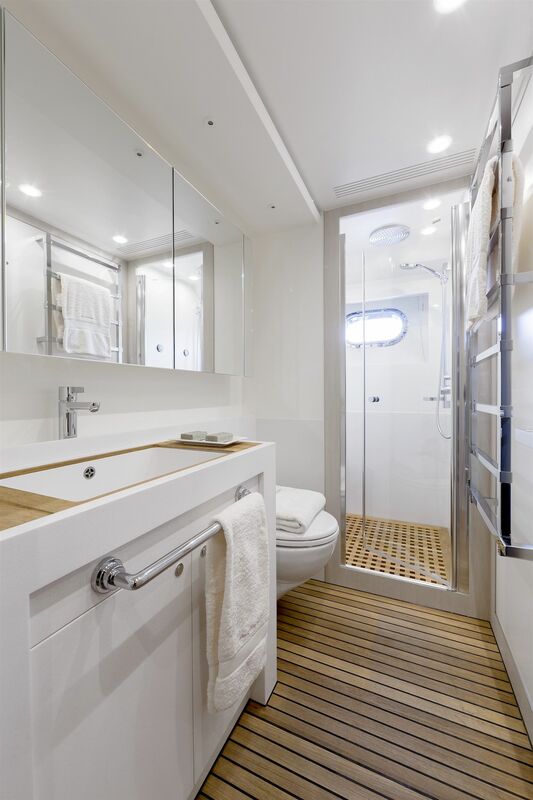 On outdoor decks you will find different resting spaces whether it is in the shade or under the sunlight, and the crew quarters will allow keeping a maximum of privacy thanks to two cabins, a bathroom and a crew mess. 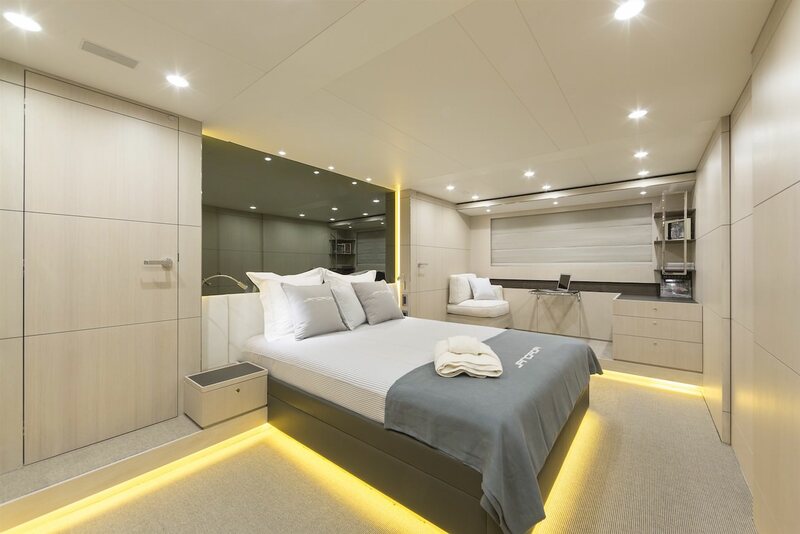 Finally, at the lower deck you will find a master suite with two walk-in wardrobes, a VIP suite and two guest cabins, each with their own en-suite bathroom. Then, Jangada Continental Three’s large decks will allow you to easily park your different boats, while all necessary apparel has been integrated to help you live memorable moments: wet bar and grill, sink, fridge and ice machines and even two amazingly comfortable sunbeds to savour a cocktail just before or after dining. 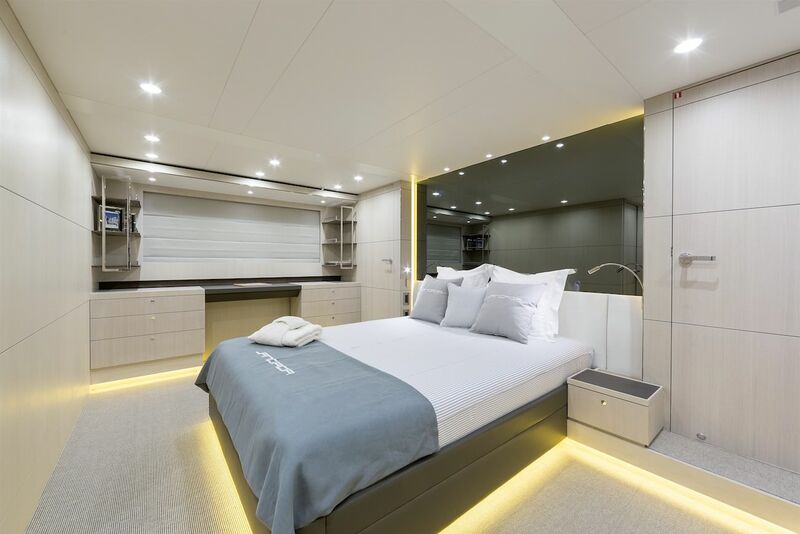 All options are possible so don’t waste any more time and begin to dream about your future yacht that will maybe look like Jangada Continental Three! 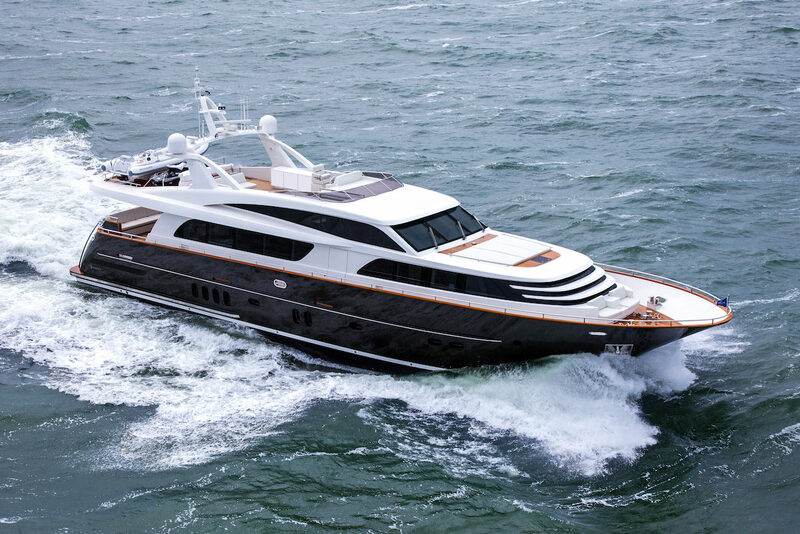 Share the post "Jangada Continental Three yacht will turn all holidaymakers heads!"